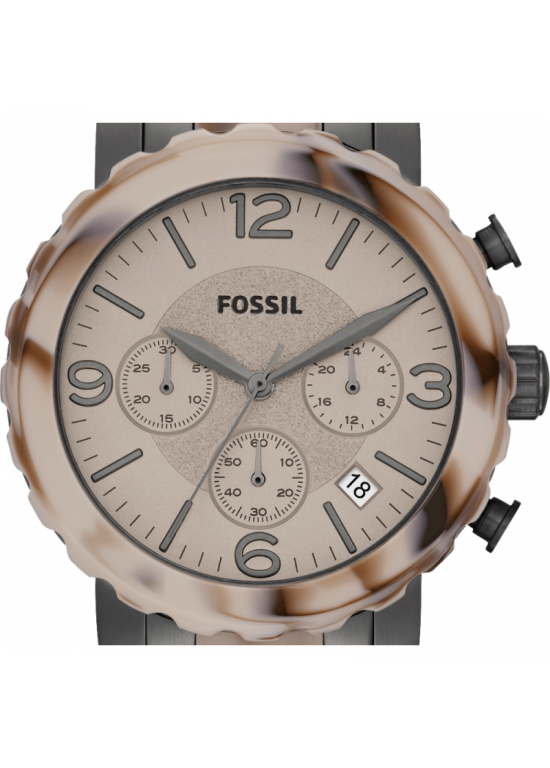 Fossil chic and elegant Fossil Natalie Faux Alpine Horn Ladies Watch - JR1383 is a fashion “wow” statement. This elegant and beautiful watch is easily dressed up or worn casually. This beautiful Round Faux Alpine Horn case has a 40mm case diameter. The case back is Solid And the bezel material is Fixed Faux Alpine Horn Acetate. This timepiece also has Quartz movement. The bracelet of this Fossil Natalie is made of Smoke Ion-plated Stainless Steel and Faux Alpine Horn. The watch clasp type is Push Button Deployment.